The Munster GAA Return on Coaching Investment Survey, commissioned by the provincial council and undertaken by W2 Consulting highlighted that for every euro spent on the sector on 2015, there was a yield of €15.27, accounting for over €3 more than in 2011 where the last survey was completed. Every euro invested in coaching by Munster GAA in 2015 yielded a return of €15.27, compared to €12 in 2011. The Munster GAA investment of €1.72m into provincial coaching supports and structures in 2015 generated a return on investment of €26.3m. A total of 10,849 mentors and coaches engaged with GAA clubs in the province last year, compared with 10,537 in 2011. A total of 46% of clubs stated that they have an above average level of difficulty in attracting mentors to get involved in coaching. The total player time generated by clubs in underage games and training was 2.25m hours, representing the cumulative time spent by all underage players attending training sessions and games in 2015. This was an increase of 16.5% on 2011. Parents receive a €9.15 return on investment for every euro they spend on their children’s GAA membership, based on the health, social, and sports benefits they receive for their children, amounting to an increase of 17.6% when compared to €7.54 in 2011. 46% of clubs in the province have experienced growth in playing numbers, while 33% of clubs have retained the same playing numbers over the past three years. Over 21% of clubs in the province have witnessed a decline in their playing numbers in the past three years. 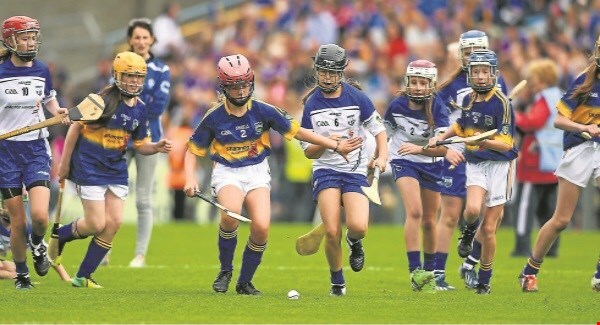 Munster GAA activity in schools is responsible for the generation of 1.48m playing hours of GAA activity across primary and secondary schools through Go Games coaching and blitzes. Over 2,854 weekly under-age training sessions are held across the province during the playing season, generating 3,865 hours of GAA coaching time for underage players each week. This represents an increase of 15.9% from 2011, where 2,400 weekly training sessions were hosted by clubs, generating 3,183 hours of training per week.